Split squats are a fun exercise, as long as you don't fall over while doing them. They challenge your balance as well as your leg strength, so they're useful if you want to work both together. 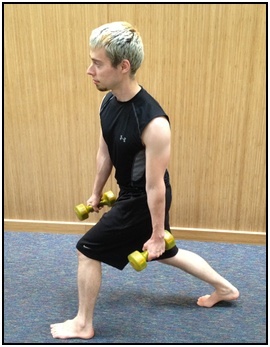 This is basically a lunge movement with weight. 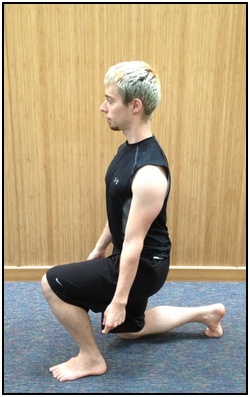 You're squatting down until your rear kneealmost touches the floor, then standing back up. A good split squat will target your gluteus, quads, erector spine (muscles on either side of your spine that keep you upright), and your abdominals. 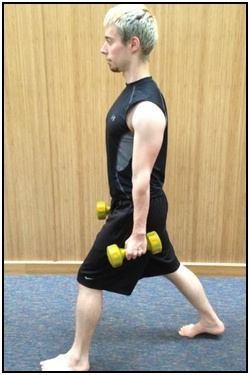 Not to mention a whole host of smaller stabilizer muscles! You're looking for a movement where your front leg and rear leg both form right angles at your knees at the bottom of the movement. Any more than a right angle and your knees will really take a beating, which will f*ck up your knees in the long term. Obviously, any squats help you strengthen your lower body. Enough said. This is one of the major benefits of these squats, and one of the reasons I like them so much. They're an active way to work the flexibility of your legs, as well as increase the range of motion in your hip sockets. You might not think of balance at first, but it's there. You definitely build better balance when you work split squats! Especially when you start adding weight, balance becomes an issue when you get close to the ground. If you don't have the core strength and spinal erector muscle strength, you'll be wobbling around and probably fall over. While I really like these squats, they definitely have some drawbacks. They aren't for everyone, and maybe not for you. These squats take a little more time than other leg exercises because you're primarily working one leg at a time. Therefore, you need to switch off to get both legs strong. It takes a little longer. Also, they take up a bit of space. Granted, you can do them in just a five foot area, but having a little extra space helps out. 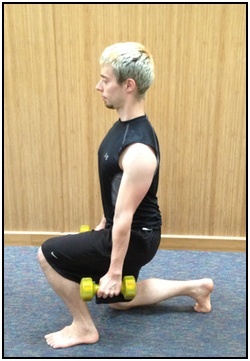 If you have knee pain or lower back pain, I'd advise against split style squats. They put a lot of stress on these parts of your body, especially if you don't do the exercise with correct technique. I'd definitely call split squats an advanced exercise. And if you're worried about joint pain, don't do them. Just find something easier and safer. A barbell on your shoulders is one of the easiest easy to make split style squats harder. Just go to your gym, load up the bar (or not, and just use the bar itself) and you've got your additional weight. This also makes it harder to stay balanced. So, just know that when you're starting out. 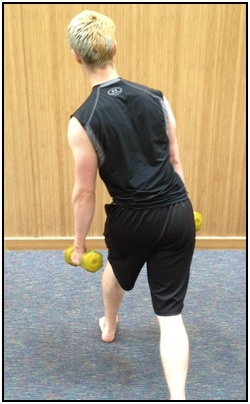 I like dumbbell squats because they work your grip as well as you leg strength. Grab a heavy one in each hand and just do your squats while holding them, and you can build quite a bit more strength. A weight vest is another excellent way to add resistance to your squats. It will also keep the weight close to the trunk of your body, so you can balance more easily. This is really more of a jump squat variation, but works well for split style squats. Instead of just standing up, jump up into the air and switch feet on the way down. This builds explosive leg strength, as well as great balance. Just make sure you come down onto the floor lightly, so that you don't hurt your knees. If you're doing barbell or weighted split squats, keep your shoulders level. DEAR GOD, KEEP YOUR SHOULDERS LEVEL! If you don't keep your shoulders level, you're just asking for an injury. This could be a crick in your back or shoulders from misalignment, or something really bad if you drop the barbell on your rear leg. Just keep it level. If you bend at the waist or hips you put a lot of unnecessary strain on your lower back. You'll also make it a lot harder to keep your shoulders level. A big part of proper form in split squats is performing them with an isolated upper body. 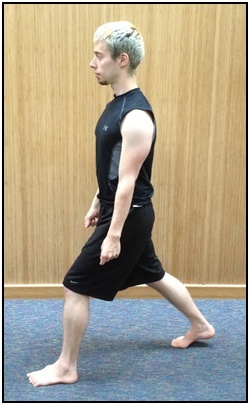 Your lower body is doing all the work in the movement, while your upper body should just be sitting there, inert. If you don't have the core strength or spinal erector strength built up, you'll be wobbling all over the place when you do a split squat. And if you're wobbling all over the place and unbalanced, it's easy to fall over and get hurt. When you're doing unweighted squats, if you don't have some degree of control just don't do them. Leave them for later when you have more stability so you don't hurt yourself. Add these squats to a good beginner weight training program to hit your whole body intelligently. Or just add it to your regular workout routine - as long as you don't hurt yourself. • Click here to leave 'Split Squats: Lower-Body Stability, Strength, and Power' & go back to the Home-page!